This weekend sees the 50 year celebration of the Irish Intercounties Surfing Championship at Rossnowlagh, Co. Donegal and while I didn’t arrive on the scene until year four I have great memories of the event and of its founder, the late Brian Britton. I had known Brian and his brothers since we were kids playing in the sand dunes in Rossnowlagh but we drifted apart during school and university years. We got together again in 1972 when Brian led a small army of European surfers up from County Clare where he had organised Ireland’s first hosting of the European Surfing Championships. We had a shared passion for surfing that took us around the world representing Irish surfing as competitors, managers and organisers. Brian’s boundless energy, efficiency and his attention to detail took him on to become President of the Irish Surfing Association, President of the European Surfing Federation and Vice-President of the world’s governing body, the International Surfing Association. I shall attend his memorial dinner next Saturday at the Intercounties and will no doubt, with many others, recall the great times we had on the world’s beaches from Lisbon to Lahinch, from Sydney to Strandhill and from Rio back to Rossnowlagh and the Irish Intercounties. His passing is not only a great loss to his family and friends but to the world of surfing. 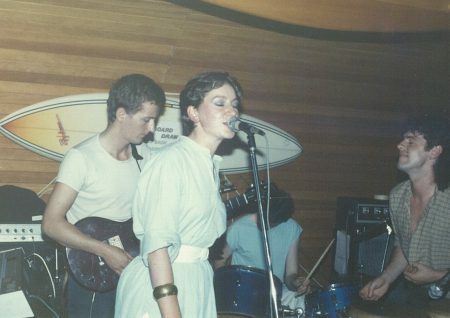 Image 1 – Lorraine Quinn, (nee Walls), with Quarterdeck playing in the Surfers Bar at the Intercounties early in the 1980’s. 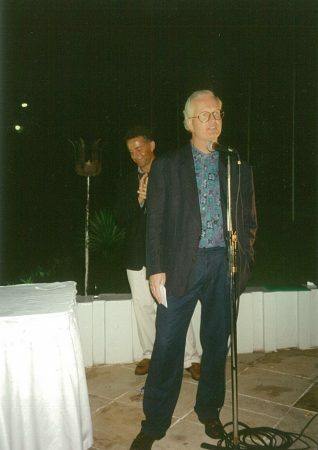 Image 2 – Brian in full flow welcoming the world’s surfers to an Irish Party in Rio de Janerio, 1996. 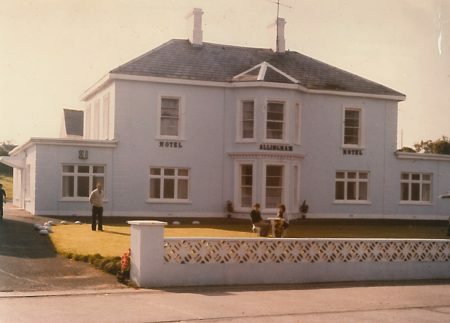 Under the new GDPR (General Data Protection Regulations) we have been trawling through old files, before committing them to the shedder and we came across this old photograph of the Allingham Arms Hotel in Bundoran as it was back in the 60’s and 70’s. 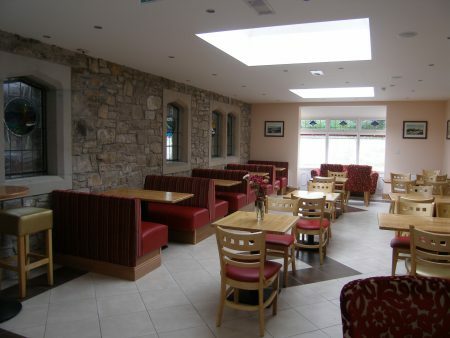 It reminded us of the exciting times we had working with the late Sean McEniff. He was a man of seemingly boundless energy and a drive to move forward, at speed. 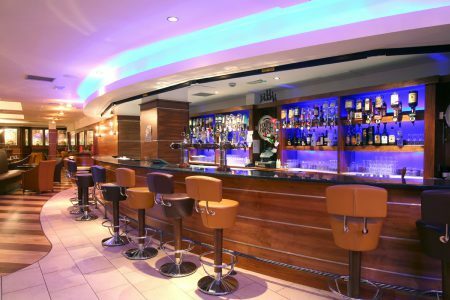 In the late 1980’s we were engaged with Sean in adding to his hotel in Letterkenny, the Mount Errigal (previously the Ballyraine). 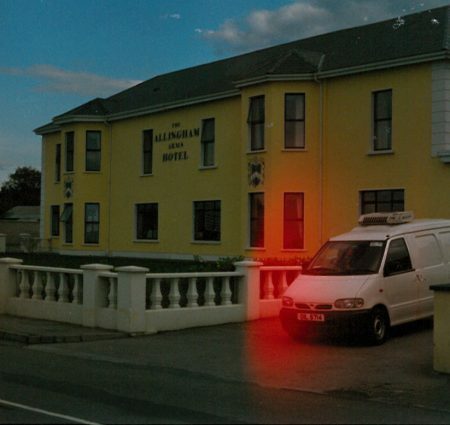 During design discussions he announced that he had just purchased the Allingham Arms and asked us to work with him on the development of the hotel. From the start there was opposing views on the best way to commence that development. 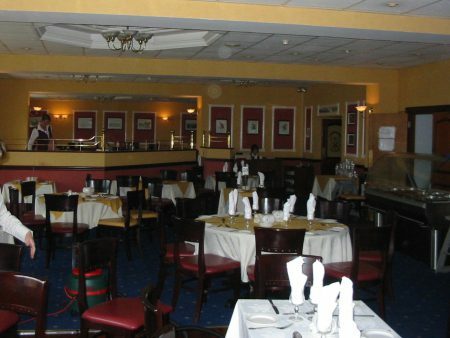 One option was to refurbish the existing building and to extend it, thereby getting an income stream started in the shortest possible time. 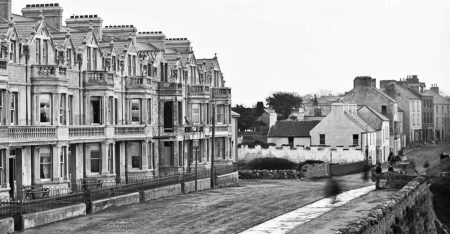 The option we favoured was the demolition of the existing and the erection of a new hotel set on the front of the site as close to the sea as possible. As architects, we also wanted to showcase our skill by creating an extension to the wonderful Bay View Terrace, but in a modern format. We lost the argument and photos below show the early 1991-92 development. 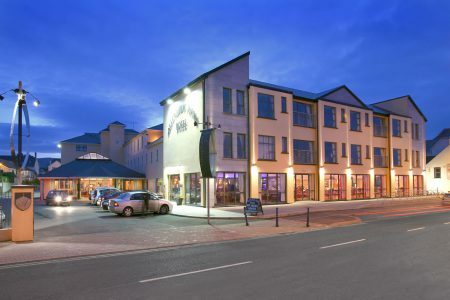 Ironically the hotel proved so popular that we have been adding to the building ever since and in 2006 we finally got to build an extension to the hotel on the seafront to make use of those magnificent views. We were delighted recently to see that the success of the hotel under Peter, Elizabeth and family has brought it to four-star status. It’s come a long way since 1991.